Just two short months ago, we anticipated three challenges for the scheduled October 1 rollout of ObamaCare: First, would potential enrollees be sufficiently interested to enter the process through the newly created federal and state health benefit exchanges? Second, would they find insurance prices affordable when they did? Third, would the technology work? The answers to those questions, while not yet fully known, give structure to this installment of our continuing series. With the initial question, would potential enrollees be sufficiently interested to enter the process, our concern was misplaced. They clicked on to various websites in overwhelming numbers. Some computer counts of “hits” were well in the millions. Health care coverage is a fundamental expectation of life in the American dream. It brings the benefit of access to care; moreover it removes a major source of economic threat to an uninsured person or to his or her family. Potential beneficiaries voted with their actions. Would they find insurance prices affordable? While preliminary reports seem positive, they are far from complete. Many early enrollees have been found eligible for the poverty-based Medicaid program, essentially free of charge to those who meet its eligibility standards. The insurance-purchasing decision for those above poverty will balance the applicant’s motivation, encouraged by a small but increasing penalty for those who forego coverage, with an array of choices involving costs, subsidies and personal resources. The data will be incomplete for the majority of potential beneficiaries until patterns emerge over several years. Would the technology work? That is a more politically sensitive question at the moment, but there are many reasons to believe that, yes, in the end it will. Still, the short term is drawing enormous media attention and is thusly part of our analysis, too. As “going live” day approached, White House strategists made a crucial command decision. Simply stated, if potential applicants were to see estimated ObamaCare insurance premiums in their unsubsidized raw form, they might abandon the quest in droves, going back to question one and leaving the playing field. The Affordable Care Act (ACA) understood the problem all along. While the law would standardize benefits, eliminate discriminatory insurance practices which excluded those with illness, and spread costs over broader insurance pools, a direct subsidy of premium costs through the income tax system would seal the deal with many potential applicants. While health care in America costs a lot, the ACA’s premium subsidies were wide ranging, aiding families with incomes as high as $90,000 annually, and at lower income levels reducing premiums by thousands of dollars annually to the applicant. To avoid the immediate effect of insurance premium sticker shock, the exchange would present potential costs as the net amount of the premium after subsidies were calculated. To do this, a decision was made to require registration through the website, rather than simply being allowed to browse premium levels. Just give us your name, location, family status, and income level. Click, click. Social Security confirms your magic number, IRS confirms income level, Homeland Security checks legal immigration status, and the exchange allows your insurance choice to reflect the real, and often much lower, net cost to you after subsidies are calculated. Only a few additional steps for lots of benefits. And then. . . Crash!! As America now knows, round one of the launch didn’t go as planned. The design may have been flawed. Perhaps the decision to require registration will be confirmed as a source of overload. Thoughtful examination will no doubt reveal other errors, with the lack of clear command and communications lines among government contractors and federal officials high on the list. Members of Congress, including those dedicated to repealing the law, will state frequently insincere regret at the turmoil. The White House, meanwhile, has turned to former budget official Jeffrey D. Zients, with the end of November now the new “we’ll make it work” target date. Our previous commentary has noted the proven capacity of the insurance exchange model, with Massachusetts the example of successful implementation. Several state-operated exchanges, New York and California among them, adjusted quickly to first-day jitters. Electronic markets more complex than Healthcare.gov exist elsewhere in the economy. Whether the initial administrative fiasco of the federal exchange launch will undermine the success of the ACA remains undetermined. Oddly, however, fixing a website may prove a minor achievement viewed against the entire complexity of the law. While chattering-head attention has focused on the federal exchange story, the other half of the ACA’s insurance expansion through the Medicaid program has received little attention. In a different America, public discussion might focus on some seven million uninsured poor people who live in states whose political leaders have chosen to reject the ACA’s call to expand Medicaid eligibility to a uniform standard set at 138% of the federal poverty level, $15,856 in annual income for an individual, $26,951 for a family of three. We have told the story previously. With the Medicaid portion of the law, the ACA anticipated national uniformity. The Supreme Court supported the expansion, but as a state option. The law provides states with 100% federal financial support for the expanded care for three years, 90% over a decade. Still, almost half of the states have turned their backs on coverage for their poorest citizens. Even worse, since the ACA assumed uniform Medicaid expansion, subsidies tied to participation in the insurance exchange markets were designed for persons between incomes of 100% and 400% of the poverty level. Thus, incredibly, the rejecting states leave their impoverished citizens totally alone in the uninsurance vacuum. Real people, a million Texans, a quarter million in Louisiana, for example, find themselves without adequate health care because their leaders are “protecting” them from the benefits of ObamaCare. While the initial federal exchange failure is real, it can and will be fixed. The decision by almost half of the states to deny Medicaid’s helping hand to those in need speaks to a deepening chasm in American society. Seven million people at least deserves a mention on cable news and, more importantly, from the pulpits and in the homes of the nation. Poor people certainly won’t be called to testify before Congress. They won’t be “breaking news” on the cable screen. But they are here, among us. To wit, far from the glare of the Capitol Hill Follies, an important ACA story may be emerging in the heartland. Entering October, state-by-state political debates continued around this issue of expanding Medicaid. While Washington fumbled and grumbled, the fiscal logic of Medicaid expansion may be making real headway. Ohio Governor John Kasich, a Republican, has been the latest chief executive to wonder why his state should turn away from $53 billion in federal subsidies over the next decade. Not only will poor Ohioans have access to health care under the Medicaid expansion, but health care spending supports jobs both in the heath care field and in the surrounding economy. Directly, Medicaid would support health benefits for 275,000 low-income individuals in his state, but expansion would also bring an economic infusion to Ohio. Kasich, a respected former Chairman of the Budget Committee in the U.S. House of Representatives, brings both conservatism and pragmatism to his current role. Those roots were established well before the Tea Party insurgency within Republican ranks, and serve as a reminder that fiscally conservative, economic growth oriented governors of both parties may find common ground with the Obama administration in using the ACA’s Medicaid expansion tool to provide both health benefits and jobs to their slow-growth economies. By the way, the federal government was closed during October for sixteen days as a matter of foreplay leading up to the 2016 Republican primary season. Senator Ted Cruz (R-TX) launched his “defund ObamaCare” mini-filibuster in the Senate, Speaker Boehner (R-OH) led the House majority to its fortieth ACA repeal vote but not much else, and Congress overall reached new lows in citizen approval by risking the financial stability of the global economy before again deferring fiscal and budgetary decisions into 2014. As Hallowe’en arrived, Republicans were “outraged” that Healthcare.gov had crashed, or that somehow the President lied in overstating a promise that Americans could keep their current coverage, however inadequate those existing insurance policies may have been. They are perhaps more angered internally that their political antics stepped on their own anti-ObamaCare message. As the ACA’s administrative troubles multiplied, Congressional Republicans assured that the troubled-rollout story would be buried beneath the governmental-shutdown story, the threat-to-the-international-economy story, or the odd NSA-is-still-listening-to-your-phone-calls story in the twenty-four hour news cycle. 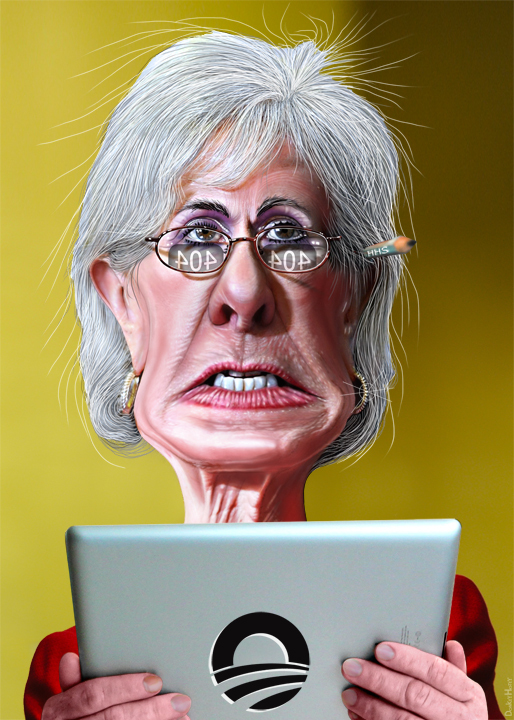 Since the shutdown ended, Health and Human Services Secretary Kathleen Sebelius has assumed the lightning rod role for the administration. Calls for her resignation have replaced the Ted-Cruz-devalued messages to repeal or delay the law. As a former state insurance commissioner and Kansas governor, Sebelius had earned positive marks for a steady hand in the three preceding years of health care debate. While her administrative control of the rollout fell short, the role of the Obama White House deserves scrutiny, as well. Leading up to the 2012 election, the Administration deferred numerous regulatory decisions which might have offered targets for campaign criticism. As Sen. Cruz, in July 2013, signaled that he would make ObamaCare the center of the fall budget debate, the Administration strategy required that Sebelius and other officials adopt sound-bite silence, lest any candid reflection on the challenges ahead be used to advance the Tea Party cause. The Secretary took one for the team on October 8, with a virtually incoherent appearance with Jon Stewart on The Daily Show as the website problems multiplied early in the month. At the end of the month, she caught more fire from both the writers at Saturday Night Live and members of the House Energy and Commerce Committee where a hot mic picked up her whispering, “Don’t do this to me,” when committee member Henry Waxman (D-CA) called on her to answer a legally impossible hypothetical posed by an openly belligerent House conservative, Billy Long (R-MO). For Sebelius, and for the Administration, the silver lining in this Congress is that they have scheduled only nineteen more legislative days before the end of the year, so once this series of Committee hearings is complete, she, and they, will have the opportunity to get back to work for the end-of-November deadline. At the beginning of the next year, our contemporaneous analysis will continue. Another round of budget and debt-ceiling deadlines lie just beyond the turn of the year. With the ACA likely removed from the center of budget decisions, the initial open-enrollment period for insurance coverage is under real stress. The technology fix is promised. The actual enrollment decisions by millions of Americans are yet to come. Because of the rollout problems, however, the Administration may have found cover enough to extend deadlines for open enrollment, perhaps even to defer first-year tax penalties without conceding the underlying direction of the law. Republicans, meanwhile, face another round of struggle for the identity of their party as midterm elections in 2014 set the stage for another Presidential cycle. Fiscal conservatives, whether in the states or in the business communities of Wall Street or Main Street, may find in the ACA a vehicle for joining a return to a more pragmatic brand of Republicanism, including a focus on reducing health care’s cost growth, essential to the nation’s fiscal health. Tea Party leaders may, on the other hand, continue to stir up the base by railing against the tyranny of those who would provide health insurance to millions of individuals left out in the cold. That battle, like the battle for full implementation of the Affordable Care Act, is far from complete. Jim Tallon is the president of the United Hospital Fund, a think tank in New York City. He served previously as Majority Leader of the New York State Assembly. political cartoon by DonkeyHotey.